Hulu have teamed up with Viacom to bring thousands of classic cartoons from the 1990’s. 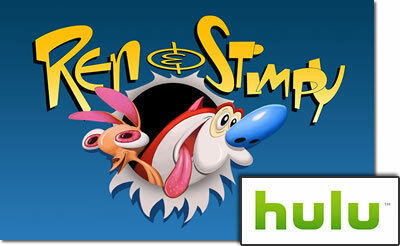 Hulu Kids can now enjoy watching shows such as The Ren & Stimpy Show, Drake & Josh, Invader Zim, Hey Arnold!, amongst others. The ongoing deal which started back in 2012 will also offer programming from other Viacom networks such as Comedy Central, MTV, VH1, TVLand, Spike, BET, and Logo bringing shows such as Catfish, Key & Peele, Drunk History, Inside Amy Schumer, 16 & Pregnant, Snooki & JWoww, Workaholics, Hot in Cleavland, and Faking It amongst others. Hulu will also be offering a number of Latino kid’s content available in the Spanish language such as SpongeBob SquarePants and Teenage Mutant Ninja Turtles.